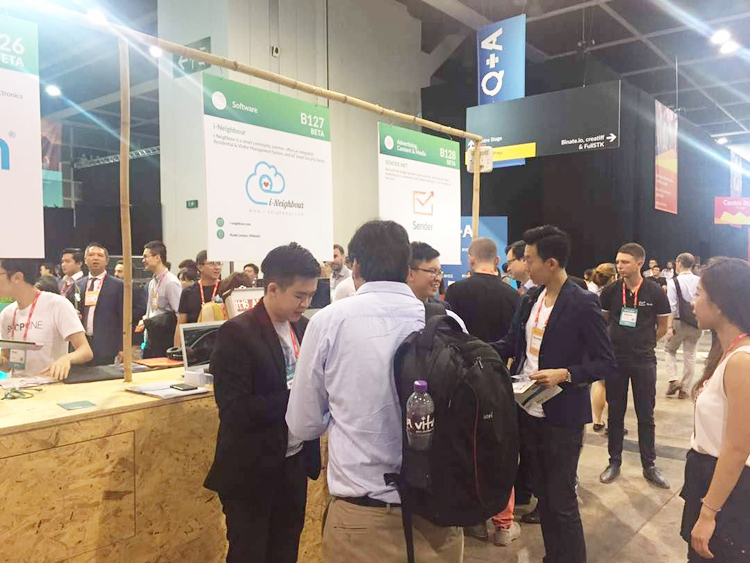 RISE is a tech conference event that gathers some of the world’s biggest companies and startups from Hong Kong and all around the world to share their stories and experiences. 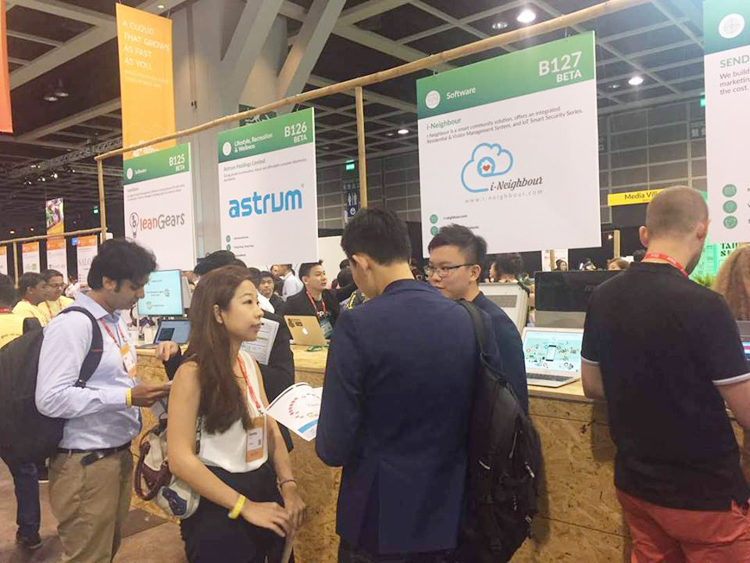 This is known to be the second year for RISE conference and this mammoth event was held from 11th to 13th July 2017 at the Hong Kong Convention and Exhibition Centre. RISE is also a favourite event for major global media, hundreds of investors and thousands of attendees due to its legendary networking opportunities. 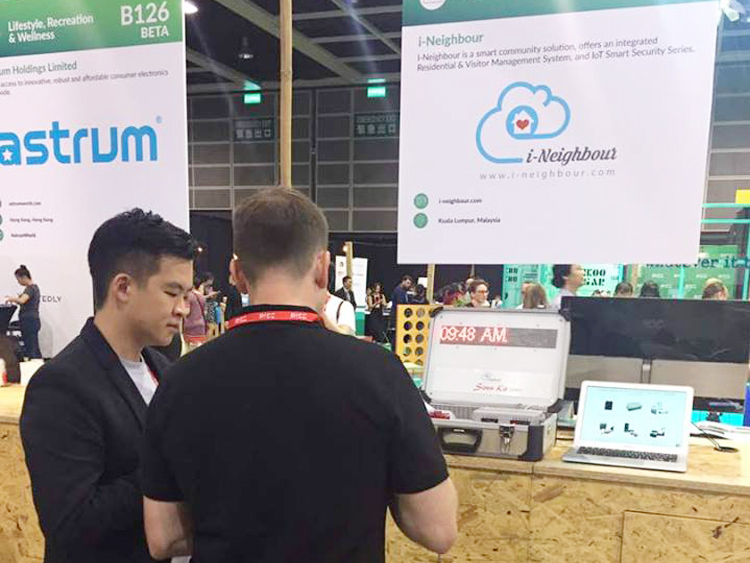 TimeTec Cloud took advantage of RISE platform in order to introduce our latest Smart Community solution: i-Neighbour to throngs of visitors. i-Neighbour is a cloud-based Smart Community solution that combines Visitor Management, Residential Management, Security Management and IoT Smart Security Series in one solution designed for high-rise residential and gated guarded residences. By tapping onto cloud-technology, smartphone mobile technology and Bluetooth low energy, i-Neighbour revolutionizes the way a community communicates with one another. This solution does not only ease visitation process where visitors can use the solution to pre-register their visits for access into a neighbourhood, but also eases the management of a modern neighbourhood by having features such as online payment of maintenance fee, facility booking, report of incidents and emergencies, and many more. Additionally, all these processes could also be achieved through i-Neighbour smartphone App, hassle-free. i-Neighbour presentation at RISE was a success when visitors and investors alike visited the booth with various questions about the many features of i-Neighbour. “Smartphone usage is ubiquitous these days and i-Neighbour definitely taps to the power of a smartphone to improve the lifestyle of urban inhabitants. 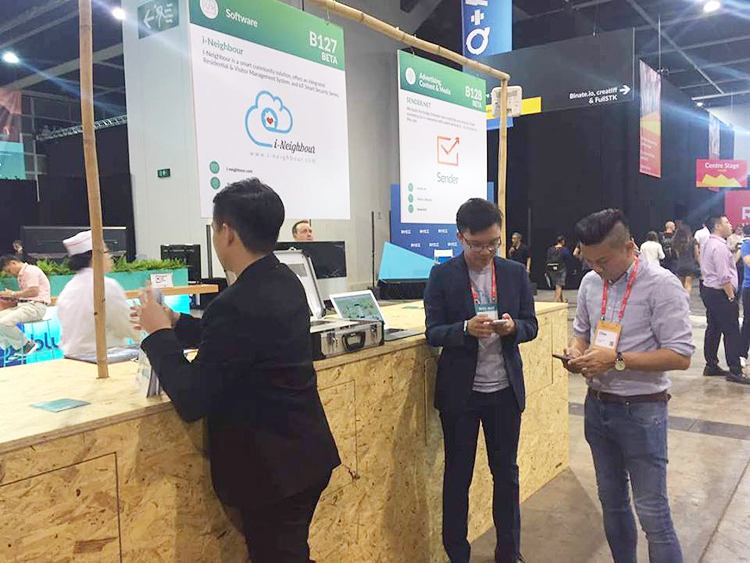 If you can connect and do everything from a smartphone efficiently, who doesn’t want that convenience,” said, Mr Aiden Teh, TimeTec Cloud representative at RISE. i-Neighbour solution was officially launched in April 2017 in Kuala Lumpur and TimeTec Cloud is actively meeting with developers and building management companies to promote this effective solution.